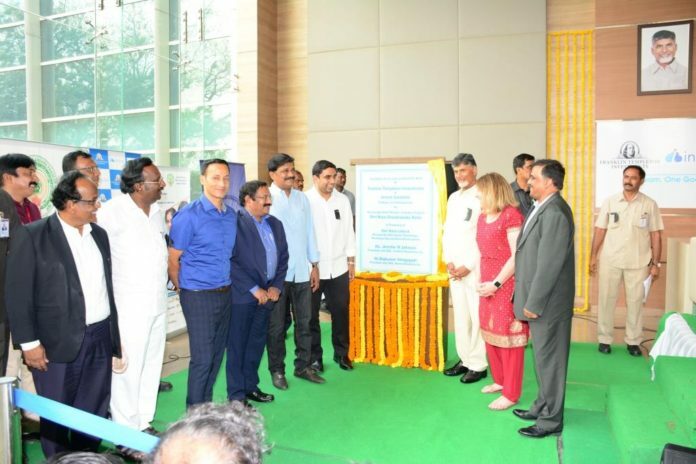 Vizag: Franklin Templeton Investments, in collaboration with technology services company Innova Solutions, today inaugurated a development center in Vizag, the heart of Andhra Pradesh’s sustainable fintech ecosystem, in the presence of Hon’ble Shri Chandrababu Naidu, Chief Minister of Andhra Pradesh and other key officials of the state. The inauguration ceremony of the development center was presided over by Hon’ble Shri Chandrababu Naidu, Chief Minister of Andhra Pradesh; Shri Nara Lokesh, Minister for Information Technology, Panchayathi Raj and Rural Development, Government of Andhra Pradesh; Shri K Vijayanand, IAS, Principal Secretary, Dept. of ITE&C; Shri Tirumalarao Chamalla – CEO, APEITA and Jenny Johnson, President and COO, Franklin Templeton Investments along with key officials of the state. The Vizag facility will serve as a Center of Innovation and one of the key tech hubs for Franklin Templeton Investments globally, focusing on building core competencies in investment management data science with a view to gain information advantage and drive investment out-performance. The firm will look to leverage their strategic investment pool to invest in disruptive companies and launch vertical disruptors through a rapid development process where ‘concept to prototype to design/development’ will be nurtured in an expedient manner.